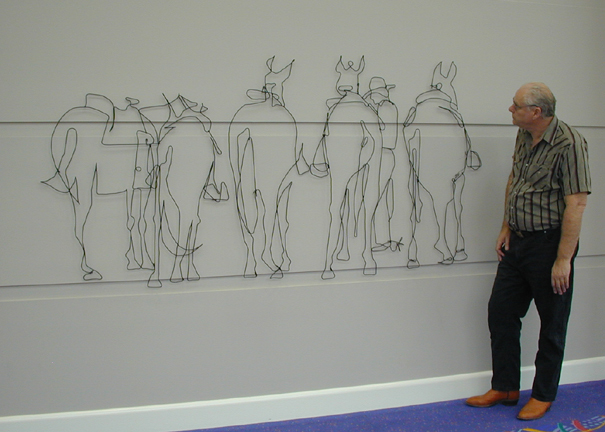 Bart makes wire line-drawings – the process of creating an image out of one or two strands of wire. Many of his drawings are used as guides for his larger-than-life steel-rod wall murals. 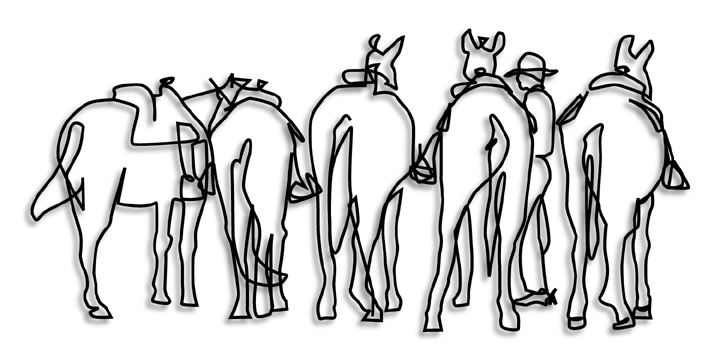 A project starts with a drawing made from a photo, a sketch, or customer suggestion. Click here to see some of Bart’s favorites. All of the murals are custom-designed, one-of-a-kind projects. 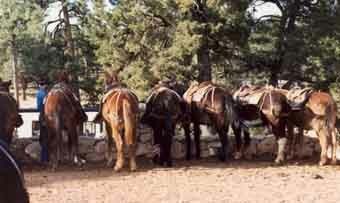 Most are made out of 5/32nd inch diameter steel rod because Bart can bend and twist that thickness of steel by hand.